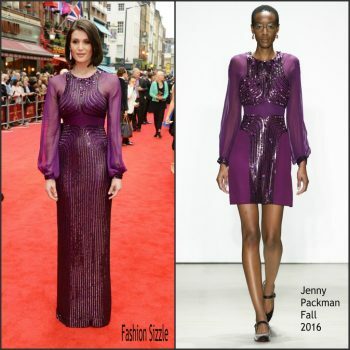 Gemma Arterton attended the 2018 British Independent Film Awards in London on Sunday (December 2). 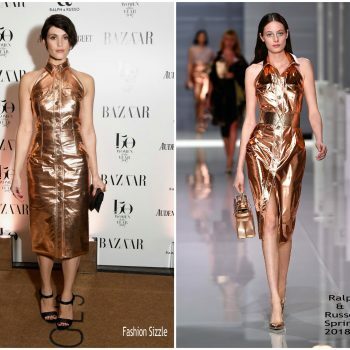 She wore a pale pink Emilia Wickstead Spring 2019 cloque gown styled with Jessica McCormack earrings. 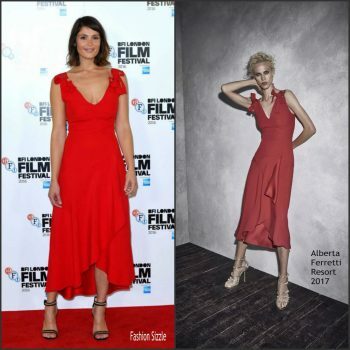 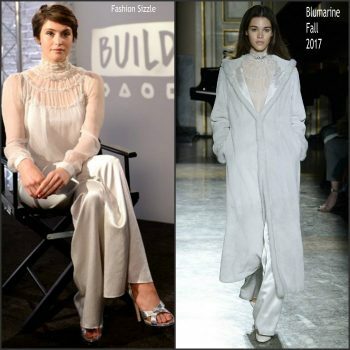 Gemma Arterton wore a Christopher Kane Resort 2019 velvet crystal buckle dress to the Vita And Virginia premiere at the 2018 Toronto International Film Festival. 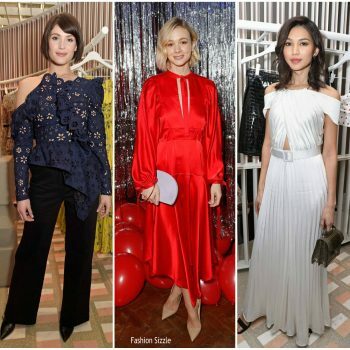 Gemma Arterton attended the opening night celebrating the £6.6m relaunch of Vue’s state-of-the-art entertainment venue in London on Monday (July 10). 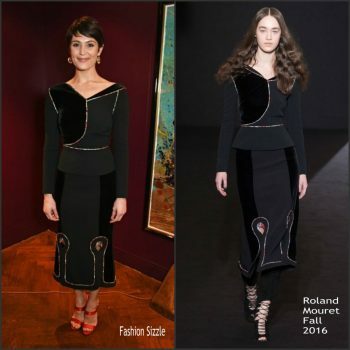 She wore a white sleeveless floral embroidered Dolce & Gabbana mini dress. 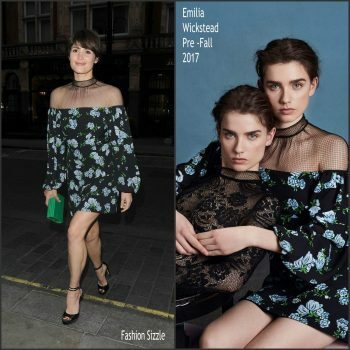 Gemma Arterton was spotted at Scott’s restaurant on Tuesday (May 2) in London. 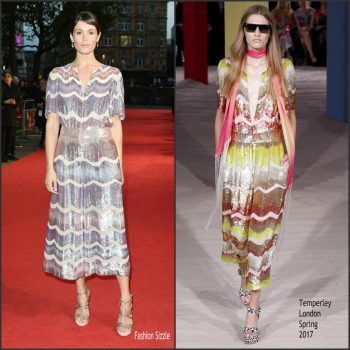 She is wearing s floral print Emilia Wickstead Pre-Fall 2017 styled with a Jimmy Choo ‘Candy’ clutch. .
Gemma Arterton was in attendance at the press screening of ‘Their Finest’ at BFI Southbank in London this evening (April 12). 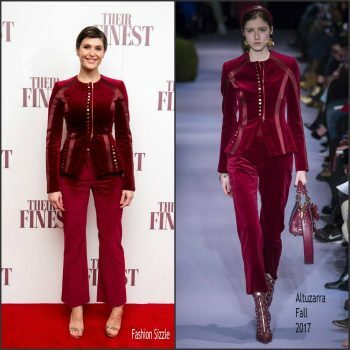 She wore a red Altuzarra Fall 2017 velvet suit. 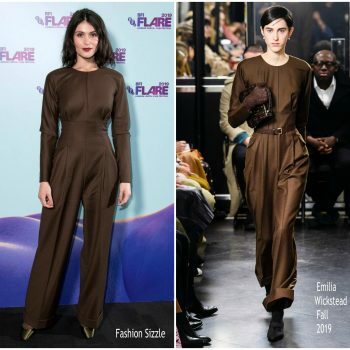 Gemma Arterton was in attendance at the premiere of ‘Their Finest’ on Thursday (March 23) in New York City. 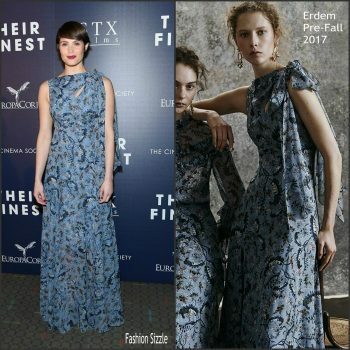 She is wearing a blue print Erdem Pre-Fall 2017 gown . 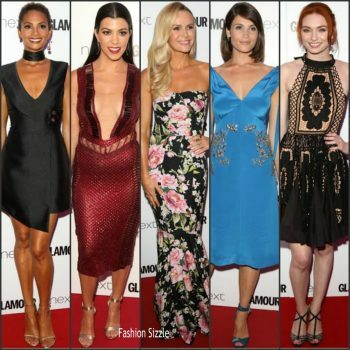 The 2016 Glamour Magazine Woman of the Year Awards was held at the Berkeley Square Gardens in London on June 7 , 2017.